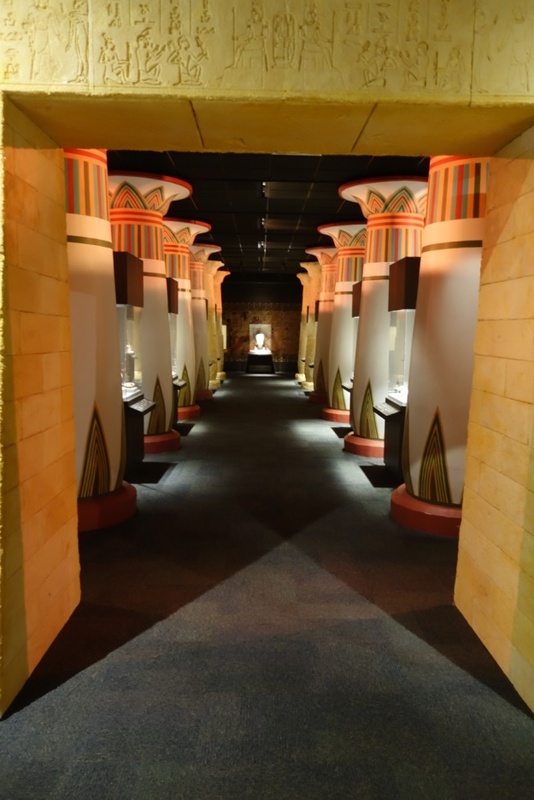 When the Houston Museum of Natural Science planned our Hall of Ancient Egypt, filling its 11,000 square feet with artifacts was not an easy job. Our own collection of Egyptian material is rather small, and that made looking for long-term loans from other museums a logical — and necessary — choice. We reached out to museums across the world to borrow material to display in Houston. It was sometimes a bit of a long shot since while asking for a short-term loan (typically three to six months) is standard, asking for a long term loan of several years is a different undertaking altogether. We are extremely grateful that so many museums agreed to lend us some of their wonderful Egyptian objects. As the day of the opening approached, artifacts from museums in North America and Europe started to arrive in Houston. Some came from as far away as Australia. Yes, Australia! 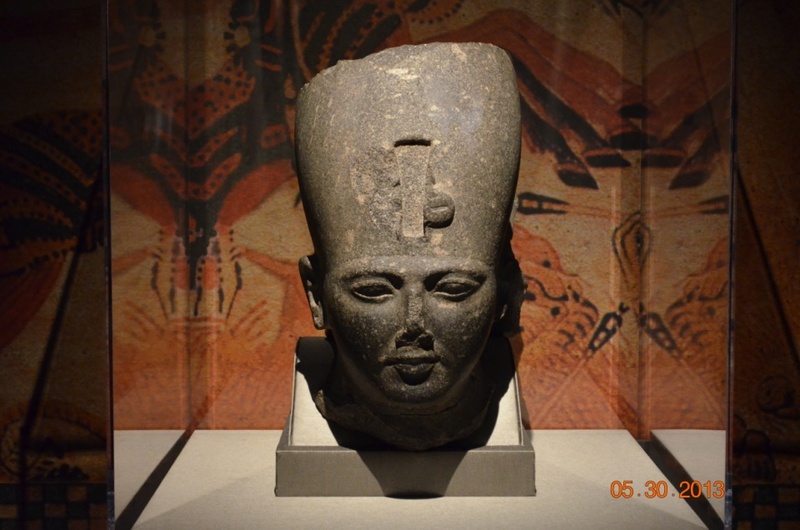 In 2013, two star pieces — a giant granodiorite head of king Ramesses II (between 1280 to 1210 BC) and a bust of a non-royal man from a little earlier — traveled from the Nicholson Museum in Sidney halfway across the world to Houston. Affiliated with the University of Sidney, the Nicholson Museum is Australia’s oldest university museum and home to the largest collection of antiquities in the Southern Hemisphere. A well known pharaonic face at the end of the columned corridor beckons the visitor. 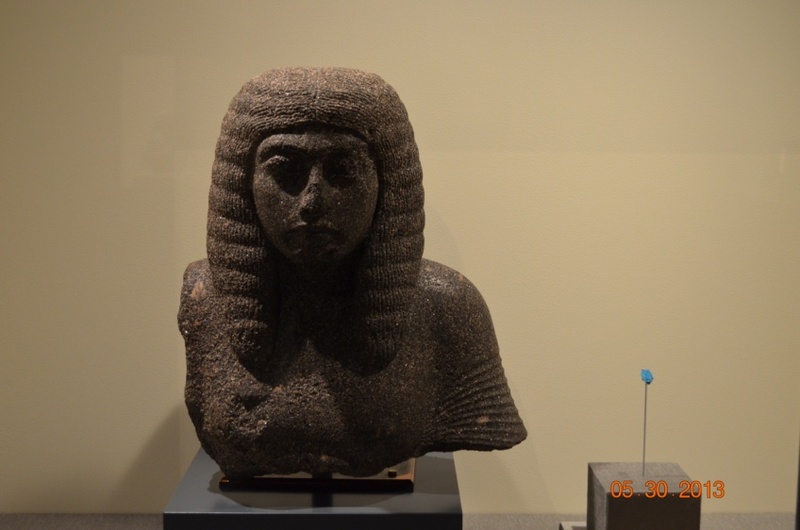 Ramesses II’s bust, representing one of Egypt best known pharaohs, took up a strategic location in our exhibit. Positioned at the end of a long line of sight, this royal image drew visitors deeper into the exhibit. It symbolized the double role played by Egyptian kings: that of worldly leader as well as representative of Egyptian gods on Earth. Ramesses was not just the king who worshipped the gods; he was also a god himself. For the many people who were denied access to the interiors of temples, colossal statues like the one our head came from (he must have been a good 20 feet when complete) were the only images of the king or the gods they could interact with. No surprise that some colossi were also worshipped as gods in their own right. The bust of a private man, whom many believe to be Horemheb, the general who took the throne after Tutankhamun’s death, was tucked away in our display of burial in the New Kingdom, where visitors could have a more intimate encounter with him. 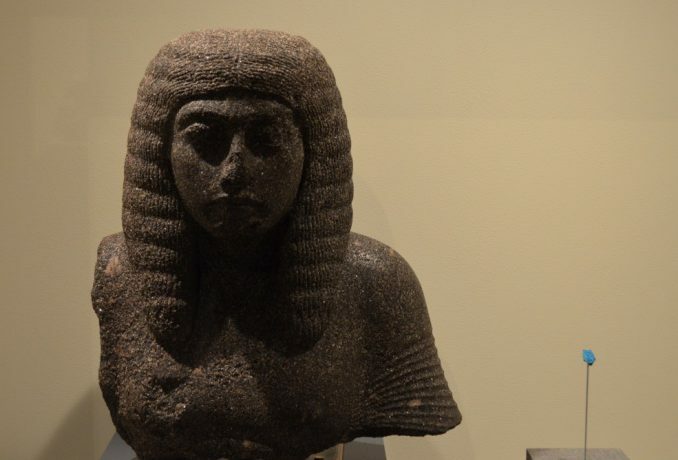 Bust believed to be Horemheb. All good things come to an end, however, and the Nicholson’s objects will be leaving us next week to go home. Following established museum procedures, a courier from the Nicholson will come to supervise their removal from their cases, will check their condition, and will see them safely crated up for their long journey home. We’ll be sorry to see them go, but there’s one bonus — for me, at least. During the de-installation, I will get to look at them out of their cases, and in different lights. For Horemheb, this will just be pure pleasure: it’s one of the finest pieces of carving from the period. For Ramesses, however, I have a mission. 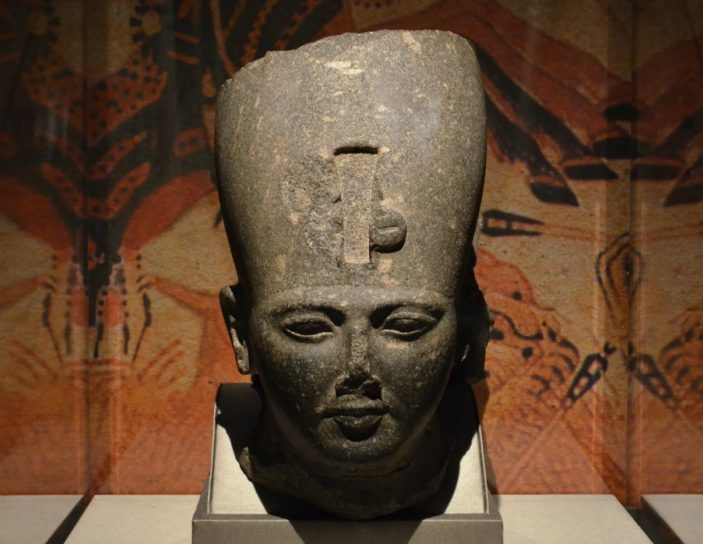 Arielle Kozloff, former Curator of Ancient Art at Cleveland, told me that she thought Ramesses’s face might have been re-worked, either before or after his reign. Ramesses was a prolific builder, and often economized by recycling statues of earlier kings. Sometimes Ramesses just put his cartouches (the king’s name, written in an oval ring) over the previous king’s; sometimes he went to the trouble of re-carving the previous owner’s face to harmonise with his own. In cases like these, sweeping a torch over the surface, and (gently) running your hands over the surface, can make you aware of different textures, possibly indicating different tools and different phases of working, that normally escape your notice. I’m not convinced that this is one of Ramesses’s retreads, but this is the perfect opportunity to test Arielle’s theory. Just as nature abhors a vacuum, curators abhor empty cases: I’ll introduce you later to the objects that have replaced Ramesses and Horemheb. Before they go, though, you have the rest of this week to admire them at HMNS.